This sleek, one bedroom apartment is perfect for a couple or single traveler looking for tasteful comfort and affordable private space. The open floor plan provides plenty of space, with a master bedroom tucked away on the interior of the home, fully-tiled master bath, simple living room, kitchen and a picture perfect lanai. Experience island living in this unique and exclusive location, with special access to the Marriott Beach Club and resort amenities. a super relaxed experience in this house. a place to totally relax. The apt was great. 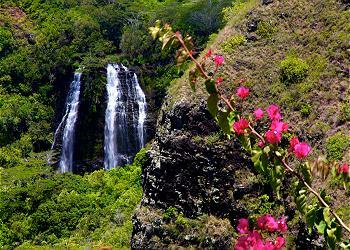 Centrally located for all our ventures in Kauai. With the use of the Marriott facilities it made a great deal better. Love the view, love the long walks in the morning , love the location. Would recommend to any couple. 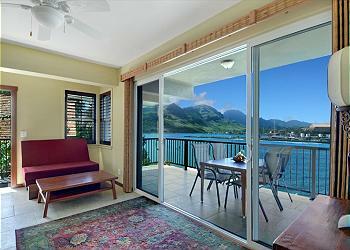 Kauai Cliff House Apt was a perfect couples getaway paradise. Location, setting and amenities for ultimate relaxation and base for exploring this amazing island is a definite recommendation from us to stay here. Entire process of renting and moving in was smooth and access to the Marriott beach resort property was a major bonus in addition to the 50% off golf at one of the 12 most beautiful courses in the world. If you stay be sure to have dinner and drinks at the new Timbers property steps away along the 16th hole of the course. Best choice we made for our Kauai vacation. Couldn't ask for a better location. The apartment had all the amenities we needed. Loved watching the early morning paddle boarders in the bay. Perfect location to all amenities. Walking trails right outside your door, access to Marriott Pools and beach chairs, etc. and restaurants. Had a great time. Would stay here again. The Cliff House Apt had amazing views and was located in a perfect spot to explore the island. Warning this rental does not have central AC. There is an add in unit in the bedroom but it does not cool the entire space. We bought a small portable fan to cool off the bathroom in the afternoons. The trade winds were nice in the evenings but it was definitely warm. The amenities were great being accessible to the Marriott. The management company was easy to work with. Had a great stay at this property. 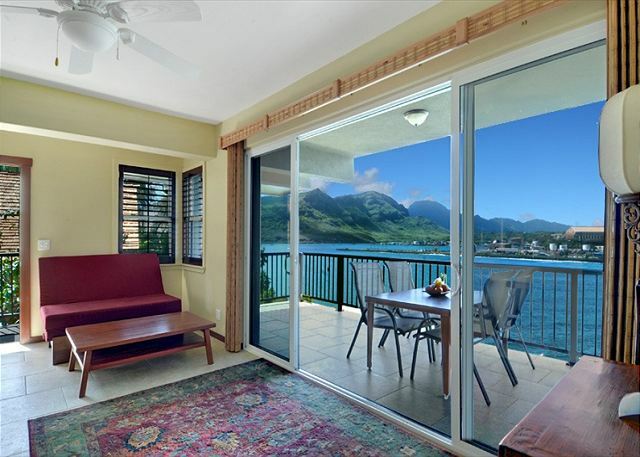 Beautiful view and lanai and fully updated unit. We will be back! Overall very happy with the property and its location. Really enjoyed our stay. The property managers handled the rental process very well. Really liked being able to use the Marriott facilities. Close to food stores so it made cooking meals at the unit quite easy. 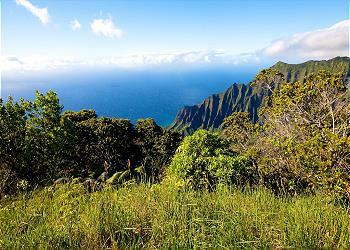 Would recommend doing the Na Pali coast boat tour. We used Captain Andys but I'm sure there are others that are just as good. Listed below are a few suggestions I would like to make. Put in a small dining table(the stools at the counter very uncomfortable)and seating facing the beautiful view. Hooks in the bathroom to hang towels. eat, 2 of each are not enough. Tell guests about the steps down to the unit. Not suitable for everyone. We loved the Kauai Cliff House. Everything about the location of the house was perfect. The house was clean and the property management texted us throughout our stay to make sure everything was going well. This was our favorite vacation ever and we'd definitely recommend others to stay here! Had a great vacation! House was excellent, had everything we needed, was private, and you cannot beat the location. It was really nice to be able to have a cup of coffee on the lanai and cook breakfast in the morning rather than having to get ready for the day and go someplace to get your morning going. Proximity to the airport and being able to utilize the Marriott shuttle were great bonuses even though we had a car most of the time. A quick walk got you to the beach or the pool which was very convenient as well. Overall we couldn't be any happier with our decision to stay here! Overall the unit was very good. Good location, great view, clean, good kitchen, and way better than a hotel room. A little noisy from the upstairs neighbors' music and barking dog but generally very good. The use of the Marriott facilities was very appreciated. Me and my wife rented this apt for 7 days and it was great the location is very nice the people over at the Marriott resort were great to deal with as far as using the pool and fitness center, we didn't want to leave. Awesome location, beautiful views! Perfect place for any couple looking to get away! Excellent Stay. 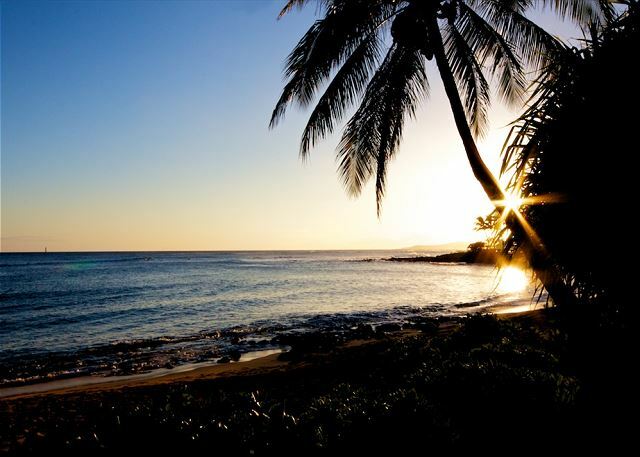 I'm in property management for Vacation Rentals in Kona, and I was very satisfied with the management and overall condition of the property. Breathtaking views. You won't be dissapointed staying here. Thank you for everything! The parking lot was so dark at night that I had to use my cellphone flashlight at times to navigate. Again we loved the place overall and would not hesitate to stay there again. Great location. 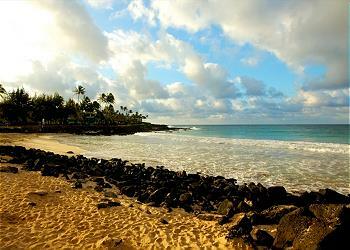 You can hear the waves crashing and access the beach and amenities at the Marriot. We loved the privacy of our own place and will certainly come back. Next time, we'll bring plenty of bug spray as we were eaten alive any time we sat outside to enjoy the view. 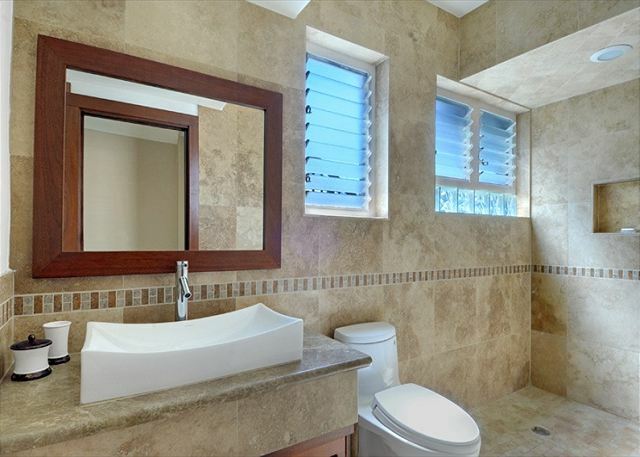 The only thing missing was a place to hang towels in the bathroom. Everything else was amazing! Thank you for the great hospitality. 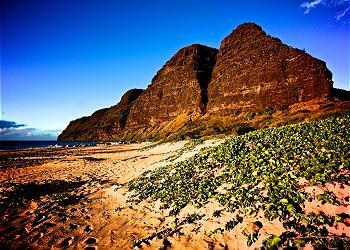 This was a great place to stay in Kauai. 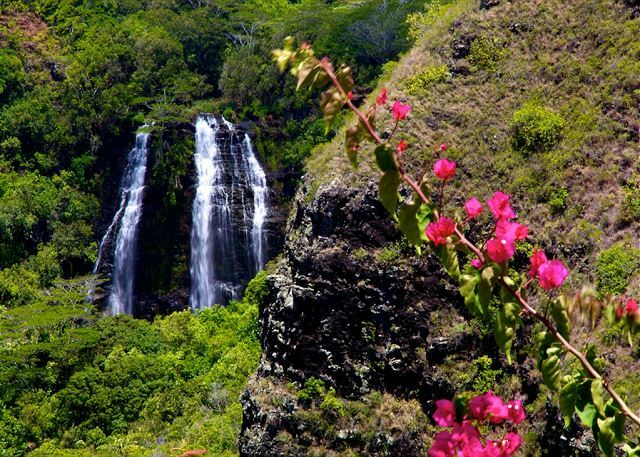 This was our 5th visit to Kauai. We normally would stay in Poipu at my Aunt's place until she sold it. This apartment has the best of both worlds you have the quiet of your own place, and get to use the amenities at the Marriott Resort. The apartment has amazing views, was clean, had a comfortable bed, nice towels and was very up to date. The Good: the beautiful views, the central location, access to the Marriott, a bay for swimming, the comfortable bed, and a/c in the bedroom. The bareable: the temperature of the kitchen/bathroom/livingroom were too warm to be comfortable. We were out a lot, but did rent a place with a kitchen for a reason. The annoying: arriving to a dishwasher full of dirty water (which begs the question, were the dishes on the shelves clean?) and a warm refrig. We finally got the dishwasher to drain (the circuit was thrown) and turned the temp down on the refrig-but we were too optimistic...woke up to warm sashimi, fruit salad, and green salad which all had to be tossed. Threre are a limited number of plates/bowls for our meals-so needed to run dishwasher day 3-couldn't get it to run, so hand washed what we needed. I understand things go wrong, and there was a repair man at the apartment when we arrived. But the purpose of property management should be making sure all is ready for the next guest. Our first day we texted about 4 (minor) problems in the first 2 hours-which is why I waited for day 2 on the refrig, hoping it was just a metter of adjusting the temp. Amazing views, helpful staff, beautiful apartment. Conveniently located by the airport which is central to the whole island! Great getaway! Loved the resort amenities without having to have the resort crowds and noise! Unit was very clean and a perfect base camp for excursions as well as a place to relax on the days in between. The rental team was amazing and very professional and thoughtful! We loved our stay! Thank you! All we were looking for! The Cliff House exceeded our expectations with a cosy comfortable ambience and a fabulous view from the balcony. Access to the Marriott amenities and restaurants further enhanced our stay in Kauai. I would highly recommend the Cliff House for a romantic vacation. This rental was more then we expected it to be. Josh was excellent and available to call at anytime if we needed assistance with anything. The house had all the equipment to make it feel the comforts of your own home. The house was magical and its a place to come back to for sure. The only problem we found was that there was no landline to use and the codes to the internet were incorrect so it made a heavy phone bill for us to get the correct one. Our experience could not be better. We enjoyed the apartment over looking Marriott Resort Our views were fabulous, boats entering the bay, whales and golfers. Apartment was nicely centrally located near restaurants and was well equipped, but not as clean as expected. It needed some tile work in bathroom causing mildew on hall walls and front door and sliding glass doors could have been broken into very easily repairs are needed. The management company emailed info before trip was very helpful, however, when we arrived we never could get a hold of them for reservation, for tours and dinners. The apartment came with a car in package and use of Resort, but we had some difficulty... car rental company gave car away because plane was 3 hours late and no help at resort. We paid for things we did not receive, so a bit disappointed. Wonderful place to stay for your honeymoon! This condo was the perfect place to stay for our honeymoon. 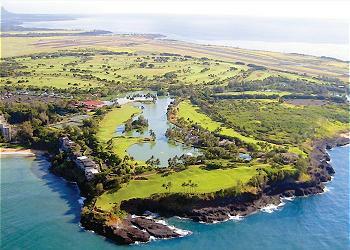 Since it is near the Marriott, the location is ideal and the views are breathtaking. 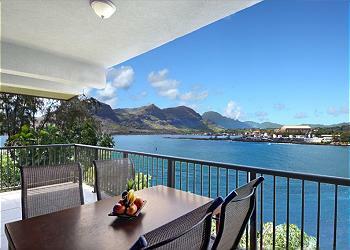 It is very close to the airport and about a 30 minute drive from the south part of the island. Also, the sunset from Kalapaki beach is amazing! There were some issues with the wireless connection and after a heavy rain storm there was some rain water leaking by the patio doors. However, the management company did a great job tending to the issues that we had. The kitchen was well stocked, the bedroom was cozy, the washer and dryer worked well, the bathroom layout was nice and spacious, and the living room area had a great view of the ocean bay. The patio also had a table and chairs where you can enjoy a nice meal in the sunshine. Overall, a great stay! Quiet little condo with a beautiful view. This unit was cheaper than a hotel room!! 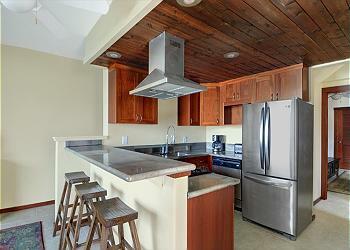 Kitchen is equipped with everything you need for a short stay. Plenty of laundry detergent, towels, soap, shampoo and conditioner. We felt there was enough space to store all of your luggage and belongings. There was also a small safe to secure valuables. 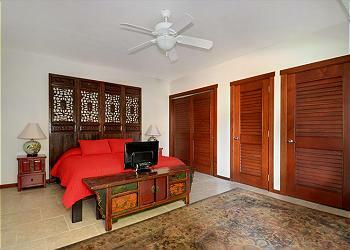 Wall mounted AC unit in the bedroom but you don't really need it with the breezy trade winds. There were technical problems with the Wifi connection but the management team was able to correct the problem quickly. The only negative was that it smelled a bit musty when we first walked in. Unfortunately some of the extra blankets smelled like this as well but who can complain when you are in paradise? Besides the fact that this unit provides use of the Marriott resort, we liked the general location. There were shops and restaurants within walking distance. Walk out onto the golf course to catch a sunrise. You can watch the sunset from the deck of the condo. It's about 10 minutes from the airport, grocery store and shops. If you would like to try great local coffee, try the Ha Coffee Bar. Great experience! The view and the apartment were fabulous. Our flight was an hour early but we were able to get into apartment early after an all night flight, so it was much appreciated. The bedroom was huge and the bed was very comfy. The kitchen was very well equipped, much better than most vacation units we've stayed in the past. The futon in the living area is not ideal and not comfortable but it's the only seating so you have to make do. 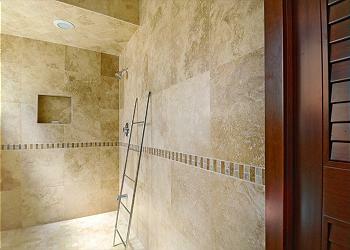 The bathroom and shower were great and it was really nice to have a washer and dryer in the unit. It's a short walk down to the Marriott elevator but it was so nice to use the Marriott facilities. The pool is enormous an the beach is perfect, nicely protected by the bay. There are quite a few good restaurants within walking distance also so that was really nice. Overall, it was a great experience and we would definitely stay there again next time. Great Location and beautiful apt. The concierge was great and the use of the Marriott was great. We loved the cool spacious and bug free bedroom?? Only a few hang ups though. 1. there was an ant problem the last half of our stay. Glad there was Raid/Off there to use. 2. The WiFi did not work the first 2 days. The modem was not working. Mgmt replaced it but then it ran it's usage limit after a couple hrs? So we had no WiFi for the rest of the trip. 3. The flat screen tv in the living room would not come on after the 1st 5 days of staying there. Called the company handling the rental for the bug, tv problems a couple times. The tv did not get fixed and my wife and I tried controlling the ant problem in the living room/kitchen by spraying, keeping all food in fridge and throwing out trash daily, but did not help. I've stayed at plenty of rentals around the island and did not this kind of ant problem. Suggested they hire a consistent pest service. We spent 5 nights at the cliff house and thoroughly enjoyed our stay. The view is beautiful, and the accommodations make the stay very comfortable. Complete with laundry, ironing board, hair dryer, and everything we needed to complete our ten days on Kauai. Perfect apt for 2 people. Loved the fact that we didn't need to carry a key around and had washer/dryer in the room. Nice and quiet area. My only advice for the owners would be to leave a binder or folder of information about the amenities...how to get access card to the Marriott, how to access wifi, etc. because we had to make phone calls and traipse around the Marriott to receive this information. The entire rental process was great. The pictures match exactly how the condo looks in person. It was so fun to watch the cruise ships come in and out. My only complaint is that the washer only washes in extremely hot water and some of my clothes required cold. I set it on cold but it still washed hot and shrunk a couple items. Other than that, it is a wonderful place. Condo was comfortable, clean and met all our needs. We especially enjoyed having access to the hotel property. The rental was clean and in a great location. The rental property was different to the pictures displayed. The internet password was difficult to come by requiring repeated phone calls to the property management as we had an international cell phone the management could not get back into contact with us. The directions given were incorrect but we were able to find the property after some searching. My wife and I had a wonderful time at the cliff house apartment. 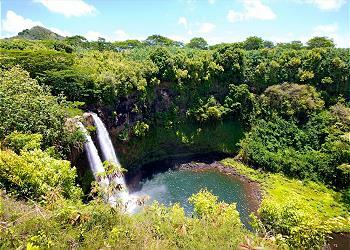 We will stay here again the next time we visit Kauai and have already recommended to friends and family. 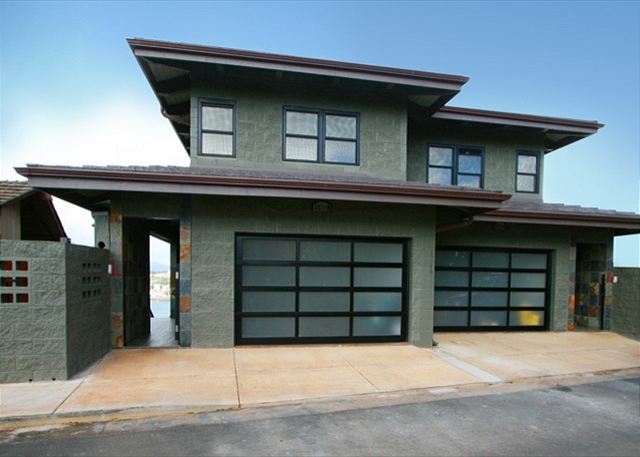 It was just the two of us, but the cliff house could accommodate a family of 4 comfortably. A perfect location for access to both sides of the island. Beautiful view and a nice safe quiet location. A cooler for the day trips would be nice and a few more drinking glasses. Really liked having a washer and dryer. Would highly recommend this place. As described, or better. We had a blast. Good location. Most incredible vacation I have ever taken. Fantastic condo with access to beaches, pools, and many places to do activities. I will absolutely be using this company for future booking. Thanks for the perfect trip! This property is amazing - its right on the water and you can hear the sea at night. A balcony means you can enjoy meals outside overlooking the ocean and the fact that it is on the grounds of the marriott mean that you can use all of their facilities. The property was in very good condition and is located perfect. Property management was very friendly and everything worked out perfect. Thanks! We´ll come back!